Instant Book cabins near Nashville Tn. 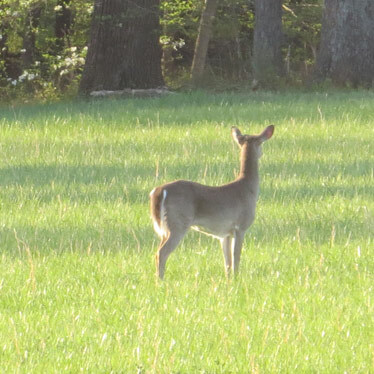 Safe, peaceful, romantic, 120 acre farm. Call if you have a question! We can be reached at: Beth 615.426.3107 or Billy 615.426.2151. Click a home to book or check availability. 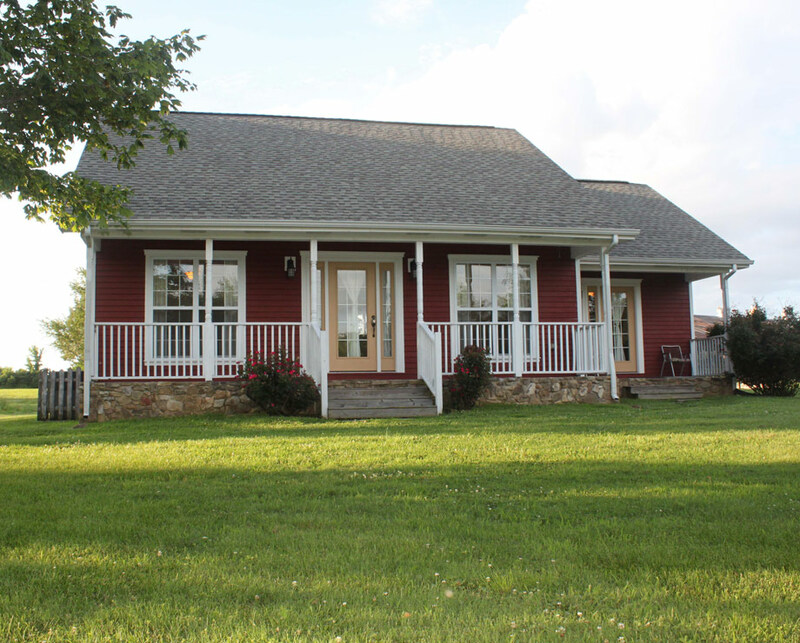 Check reviews of one of our Homes at Homeaway, Nashville Tn. 25 miles N of Nashville 2 miles off I65 a "little slice of Heaven on earth". Property reviews guest book entries that say that still surprise me. 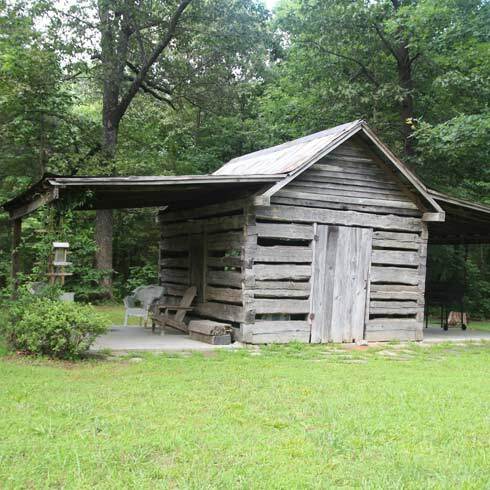 Stay near Nashville Tn on property and cabins you won't find anywhere else and 6 homes and cabins near Nashville Tn. 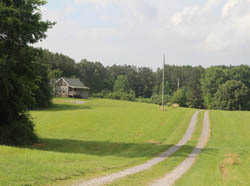 Parts of a recent review: "It is very secluded, and quiet there, yet a short 30 minute drive to Nashville! A visit back in time to the old fashioned Thomas Drug store down the street is a must! The folks are so friendly. There is an old fashioned soda fountain in store serving up good ole fashioned treats. We felt like we were in Mayberry with Andy & friends. We loved everything about our stay down on the farm at the Little Red Farmhouse. It was a real blessing and truly felt like we were returning home after our day trips to Nashville. We missed it before we even left." Over 10,000 pine trees have been planted on the place that provide some relaxing, restful and peaceful vista's plus large native timber. Walk the trails, sit and swing by the catfish stocked pond, fish if you like or just relax. 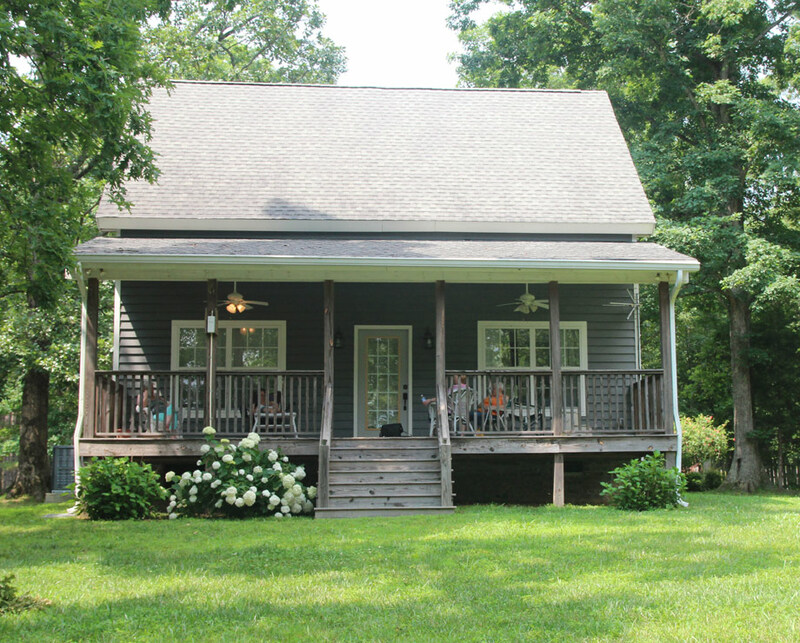 Stay near Nashville Tn and experience the peace of a little southern country farm. Opened our first home in 2007, over 500 5 star reviews since then. A relaxed and comfortable atmosphere of peace and tranquility, some have called it "a sanctuary". Different kind of place to stay near Nashville Tn. Nashville is 25 mile South. If you are in or coming to Nashville Tn for a visit we would love to have you stay. 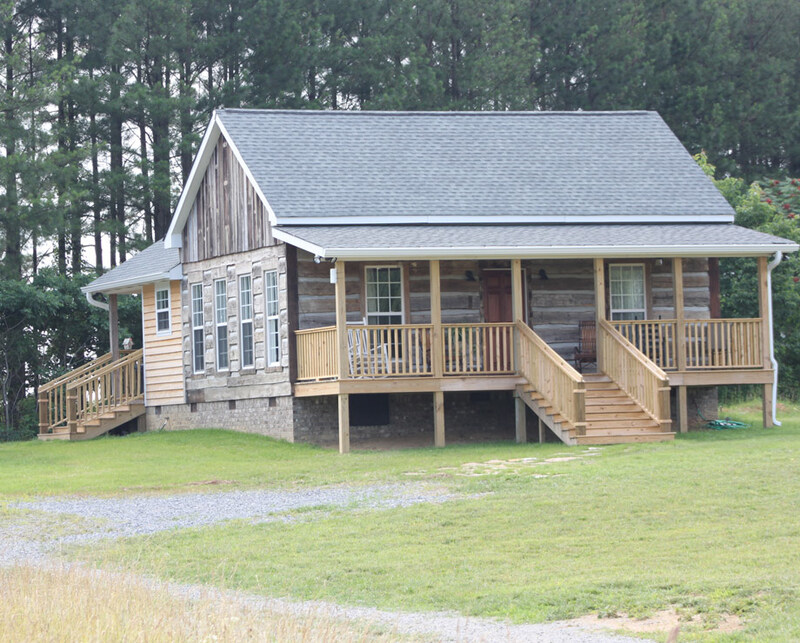 Stay in one of 6 fully furnished, family friendly, pet friendly, clean and well maintained homes and cabins. Each home is cleaned as if YOU are the first person to stay here. If you are traveling with your family pet, you can request one of the pet-friendly cabins. 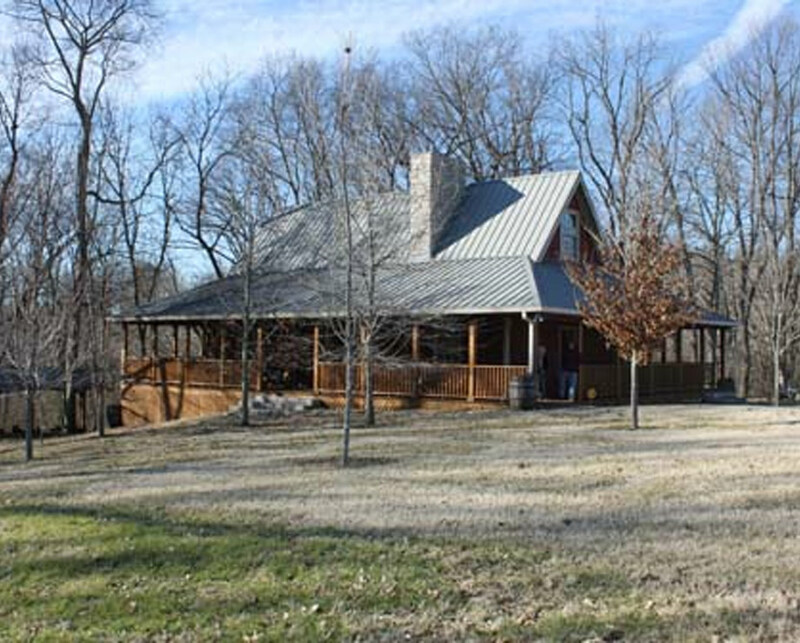 If you would like to spend some of your time socializing family and friends, The Farm has an outdoor pavilion, with shuffleboard, badminton, shooting range, golf driving range, campfires and more. Book a haunted hayride for those little goblins in your closet. There is a lovely pavilion located right in the middle of the farm, which will help make your leisurely strolls around the premises even more enjoyable. a wide range of interesting activities, as well as of reconciling luxury with the intimacy of country life. If you want to make your stay an active one, you are free to use the many trails that wind in and around the farm. Some lead to the back of the property where parts of an old homestead still stand. Then walk down and along the creek bank to find critters and wild flowers. Facilities include a playground, grills, picnic tables, small golf driving range, badminton, horseshoes. 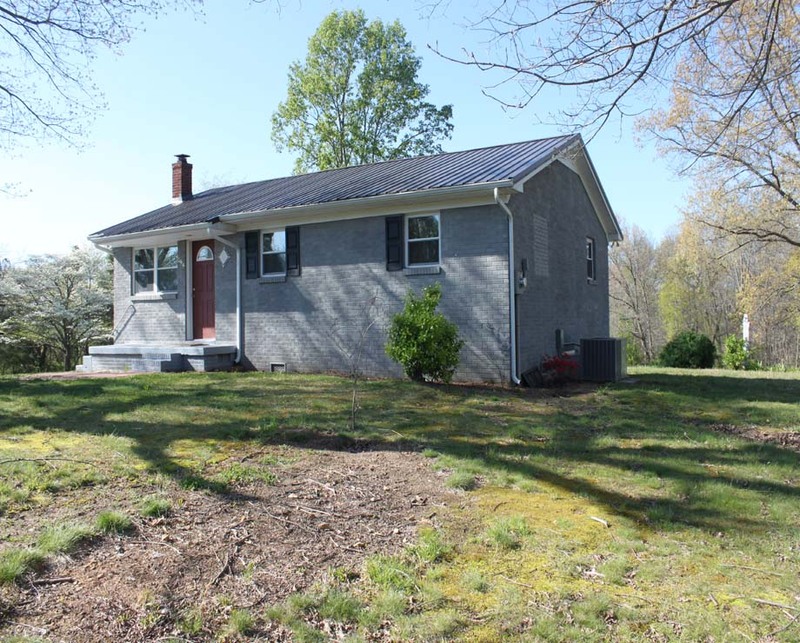 Nearby attractions include the Kenny Perry Golf Course, Sumnercrest Winery, Historic Thomas Drugs, Mammoth Cave, Lost River Cave, Octagon House, State Historic Sites such as Winnwood, Cragfont, Stone House, Hermitage. Many small local caves, streams, canoeing trips and on and on and on and on and on. A day in the country is worth a week in the city, but you really need a few days. What an amazing story and what an amazing facility Josh Lyons and his family have established just North of Nashville Tn. Josh Lyons grew up on a cattle ranch in western Colorado. Training horses, at that time, was not the family focus; rather, it was earning a living by raising livestock. Eventually Josh's dad, John Lyons, transitioned from working cattle to training horses. Encounterd the McEwyn Band (Mac, Sharon, their daughter AnnMarie and son Michael) in South Dakota August 2018. Immediately was awe struck by their sound. “MCEWYN’S sound is a commanding and infectious one, modern in feel, while reminiscing back to the earlier days of country music that are embedded in their musical DNA.” Exactly, country music with heart, soul and life. Music that gets down in my soul, emotions and Spirit. Much of what I hear is the life we live. The real heart breaks, not the fake ones. The vulnerable side of life lived with a passion and transparency. Fresh air! 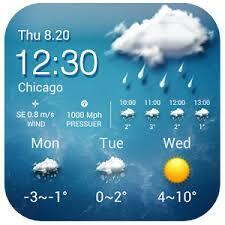 Check the 10 day forecast for Nashville Tn. All Cabins are near Nashville Tn. apx. 25 miles away. 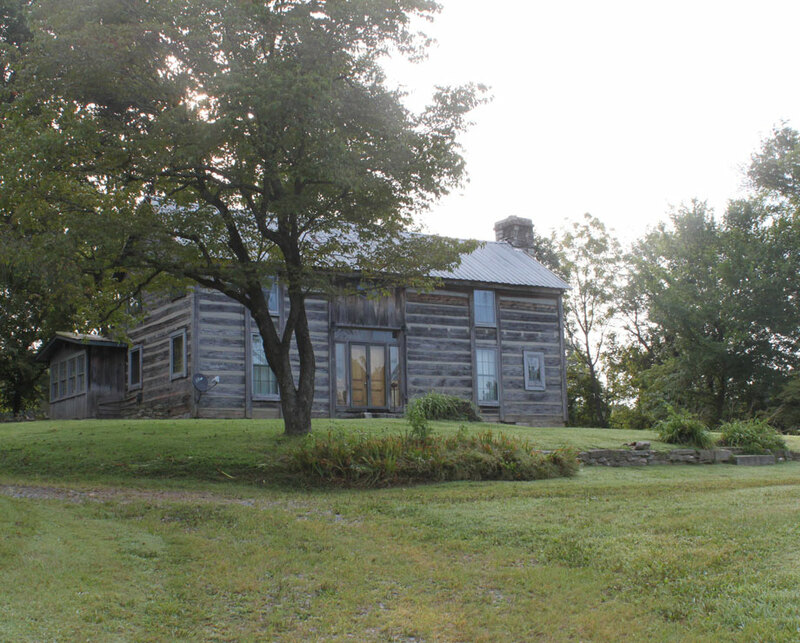 Our Cabins also near Gallatin Tn, Portland Tn, Springfield Tn, White House Tn, Hendersonville Tn, Franklin Ky. Kentucky Downs, Kenny Perry Golf Course, Rivergate Shopping, Movies, Red River Canoeing and Fishing, are all just up or down the road. Antique stores are in every town and 112 Antiques is just 2 miles away. 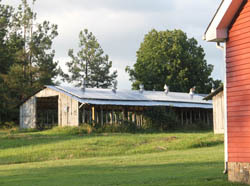 The Farm House is packed with antiques for your visual pleasure and so is the farm. Stay Down On The Farm was first thought of near 30 years ago. It is a place to relax, refresh and some call it a sanctuary. We have many people have a wonderful experience here. Some tell us they fell such a peace and some even say they feel the presense of God! 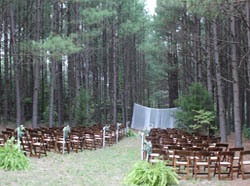 Looking for that rustic elegant wedding in the great outdoors and near some beautiful forest? Well we have the most perfect place with pavilion, accomodations, and thousands of pines for that outdoor wedding in the woods. We installed the first solar system in 2011 to light our outdoor wedding venue. We had and remain to be interested in adding more solar to the farm after adding a 10kw system to offset the electricity needed for The Red Farm House in 2014.